We are a collaborative group of players committed to challenging ourselves and supporting each other in the interest of the team’s long-term performance. As a member of the team you can expect a positive, resilient atmosphere, precise feedback, fight preparation, insight and resources into how to improve the many facets of your game, and a team to support you while we enjoy the process of individual and team progression. All team members are expected to hold the guild pillars of Professionalism, Progression, and Collaboration in high regard and to exemplify them in the community at large. In addition, we expect each member to contribute to the welfare of the team in ways that extend beyond simply showing up and performing adequately. 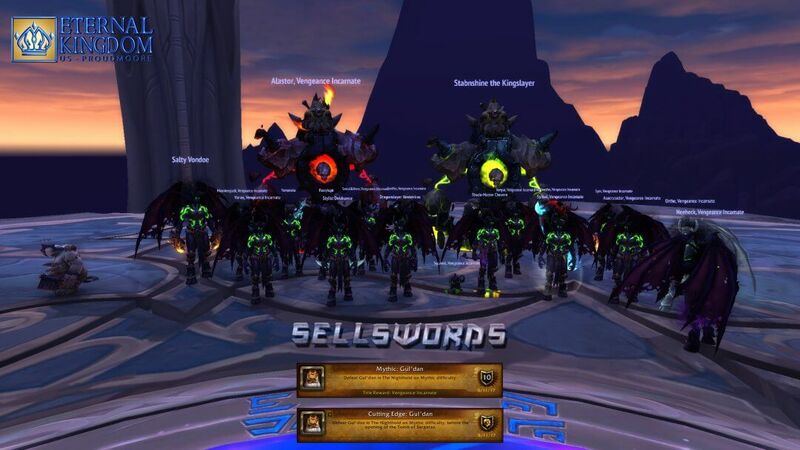 Whether it be in camaraderie and friendship, warcraftlogs expertise, weak aura creation, putting knowledge of spec/class to good use, practicing and streamlining performance, streaming, farming mats, and so many other methods, the responsibility of team growth is necessarily shared and our raiders will strive to accomplish excellence themselves while empowering the process in others. 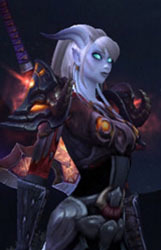 Our goal in BFA is to become a steadily improving cutting-edge team. Know Your Class – This means knowing your rotation, which talents are best for which fights, what utilities you bring to the table, and how to use your abilities effectively. This includes but is not limited to: Immunes, Stuns/Interrupts/Slows, Movement Buffs, Battle Res, Raid CDs, Taunts, etc. Know Your Gear – Everyone should know their stat priorities and which gear pieces would benefit them the most for which fights. Gear should also be enchanted appropriately and have gems if applicable. 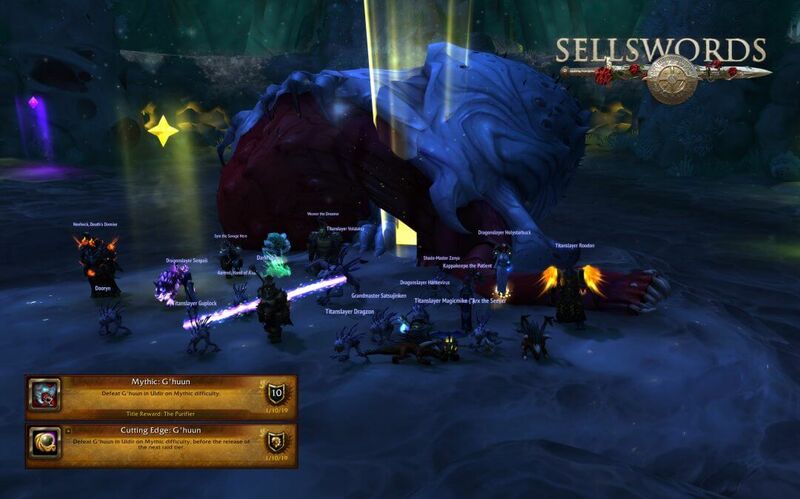 Know the Raid – There are a ton of videos and guides online. 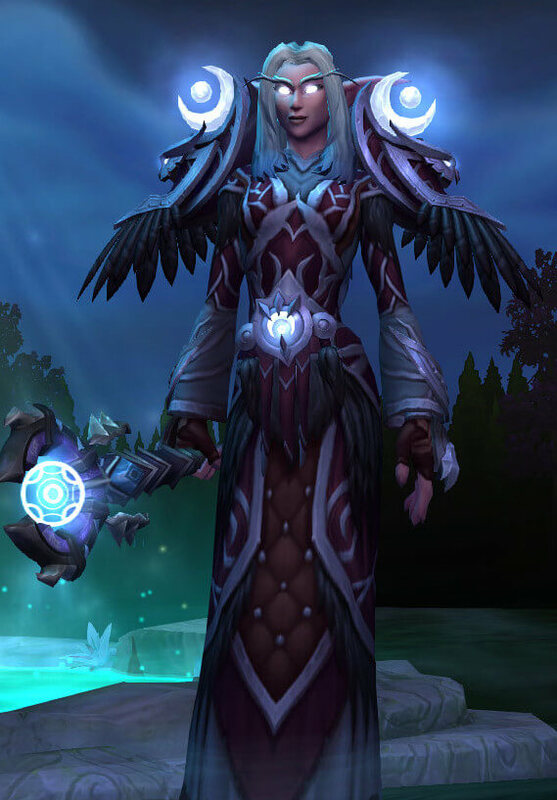 It takes a few pulls for everyone to learn the fight, but basics should be known well ahead of coming into raid. Be Dependable – When you sign up for a team, you are promising 19 other people that you will be there on time, the whole time, and ready to go. We understand sometimes you may need to post out for the night, but give as much warning as possible so we can find a replacement for the session. If you find yourself unable to make raid on a regular basis, talk to leadership so we can discuss options. Be Prepared – The raid team does assist in providing some consumables (when able), but you are also expected to bring your own to raid. Don’t forget your food, flasks, pots, runes, tomes, bonus rolls, or anything else you might need. Be Positive – When the night is going south, it’s easy for tempers to sneak up on people. Take constructive criticism and use it to learn and grow. Help your fellow teammates to improve where needed. No one here is perfect so check your ego at the door and DO NOT let your temper get the better of you. Let’s have some fun and kill some bosses! We expect minimum 90% attendance, a well honed sense of personal responsibility, good mechanics, decent throughput, team focused, with good emotional control (no rageaholics, please) We’re looking for raiders comfortable in a diverse community, with good communication skills and a solid sense of fun. Oh and elitism is boring. 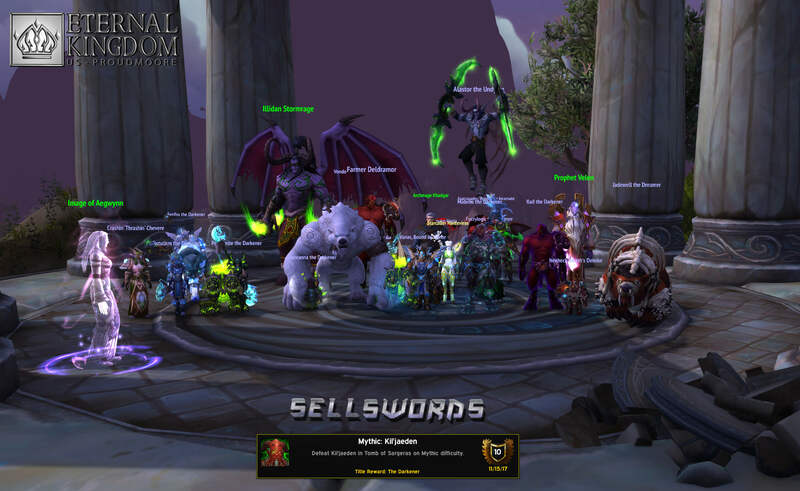 You should have experience in mythic content, know how to keep up with your class, and when it comes time to preparing for a new boss, “yolo” shouldn’t be part of your plan. 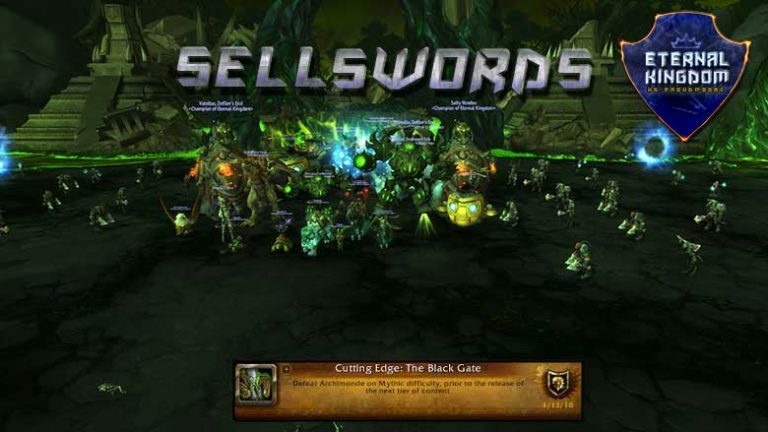 Sellswords began in Black Rock Foundry, and has a solid record of progression and achievement, getting cutting edge every tier since HFC. 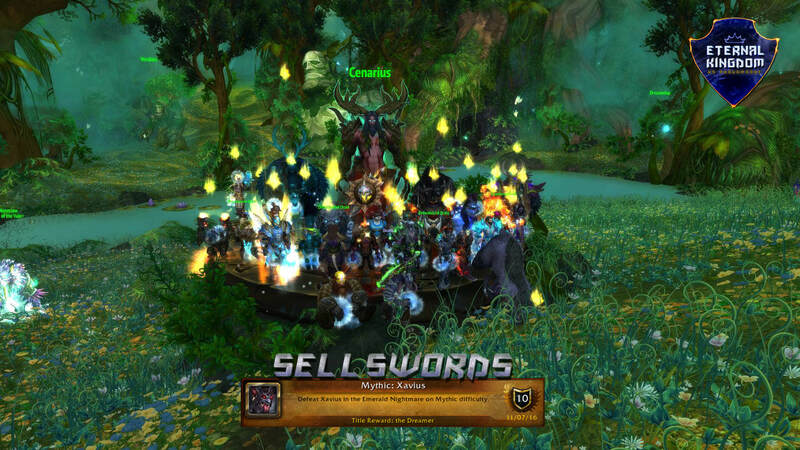 Our goal is efficient raiding, with a congenial professional raid environment. 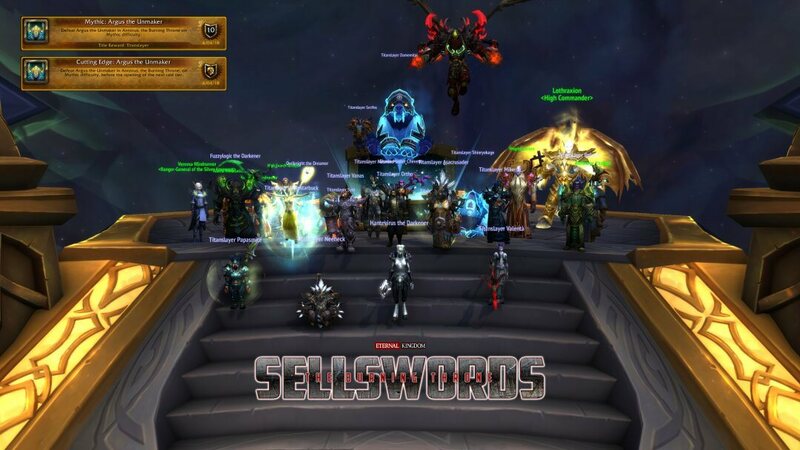 We prefer to raid smart instead of raiding more and we’re committed to the guild’s ethics of collaboration, professionalism and progression.